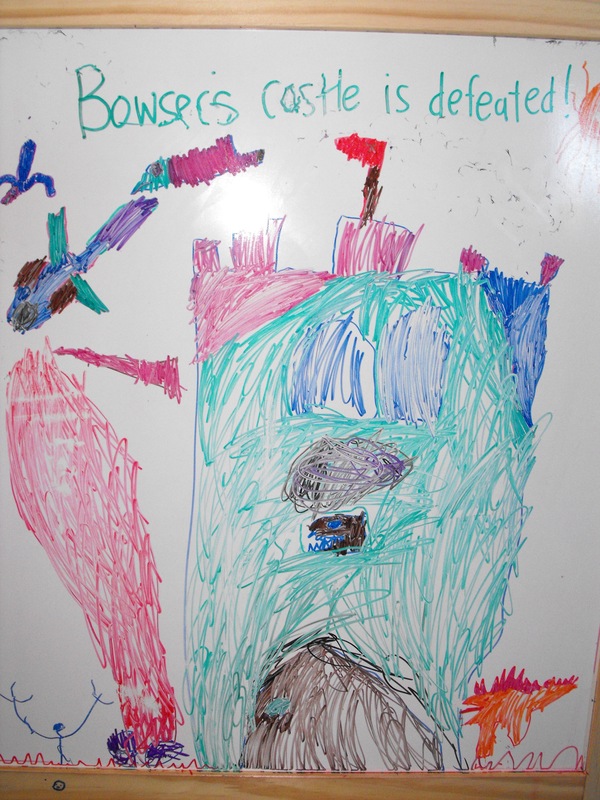 Something he drew on his drawing board but didn't want to erase. 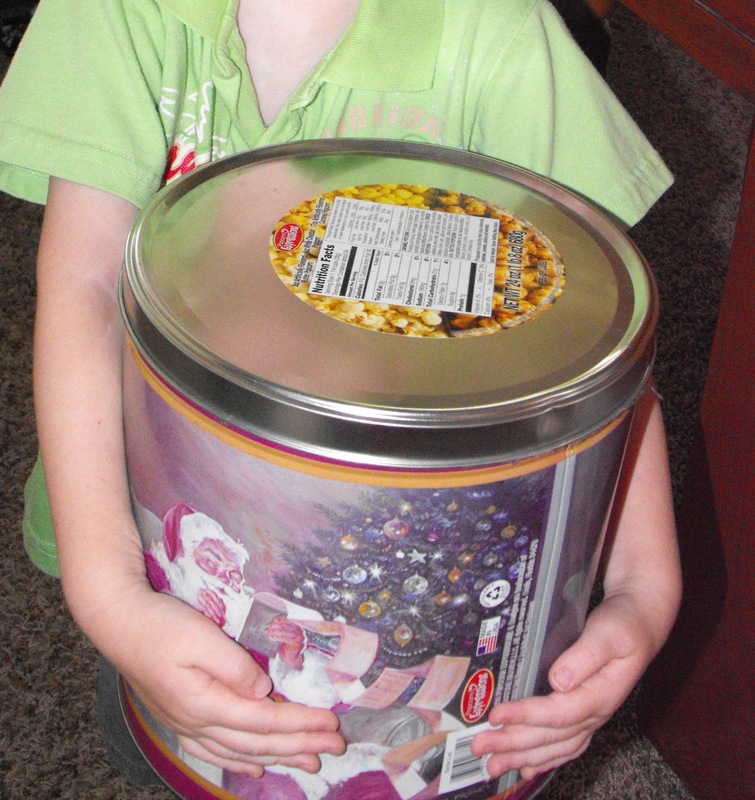 The popcorn tin from last Christmas. Normally when a child yells, “Mom, take a picture!” It means he or she is about to do something amazing. Not when my 5-year-old yells it. When I hear that phrase I know he’s about to ask me to document the final moments of some piece of trash I’m going to make him throw away. My oldest is a hoarder/collector who would save his nose-wiping tissue if I let him. He has the unique ability to fall in love with the most random objects and then desperately want to keep them forever. We’ve had a lot of conflict recently when it comes to his collections. Honestly we are running out of room in his bursting closet and my husband and I need some relief. So we struck a deal with him. Whenever he wants to keep something that we don’t approve of, we’ll take a picture of it and print it off. 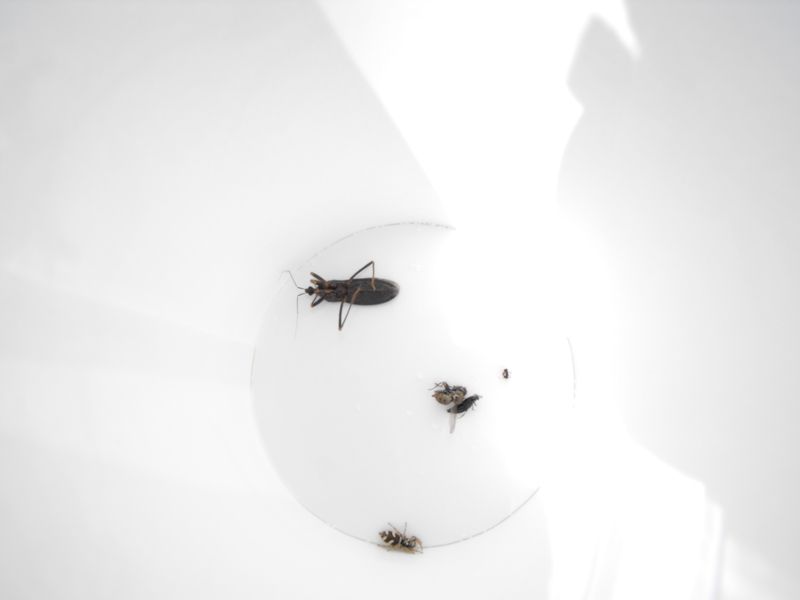 The cup of bugs he caught at a family party at a park. A beetle on our side porch. 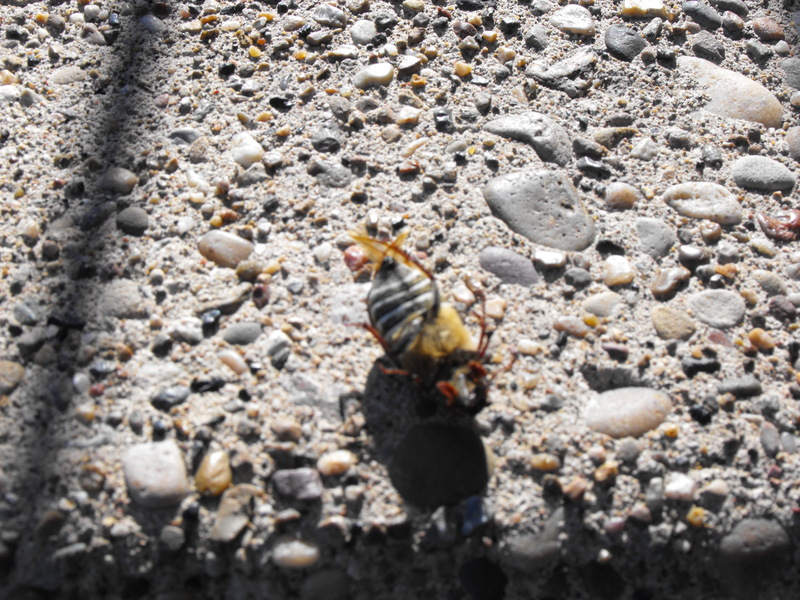 year that had caramel popcorn melted to its insides and the Styrofoam cup filled with a spider, ant and two beetles that he collected at a family gathering at a park. 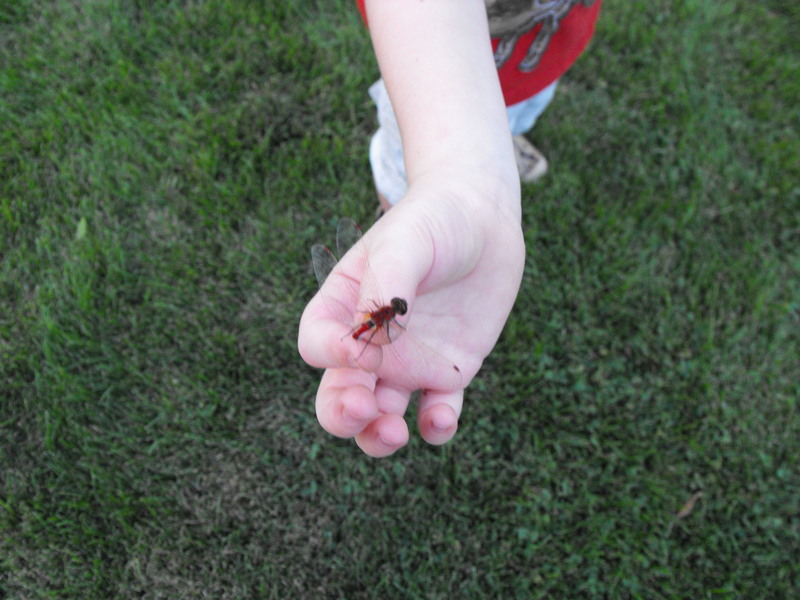 A dragonfly he caught at his great-grandpa's 80th birthday party. 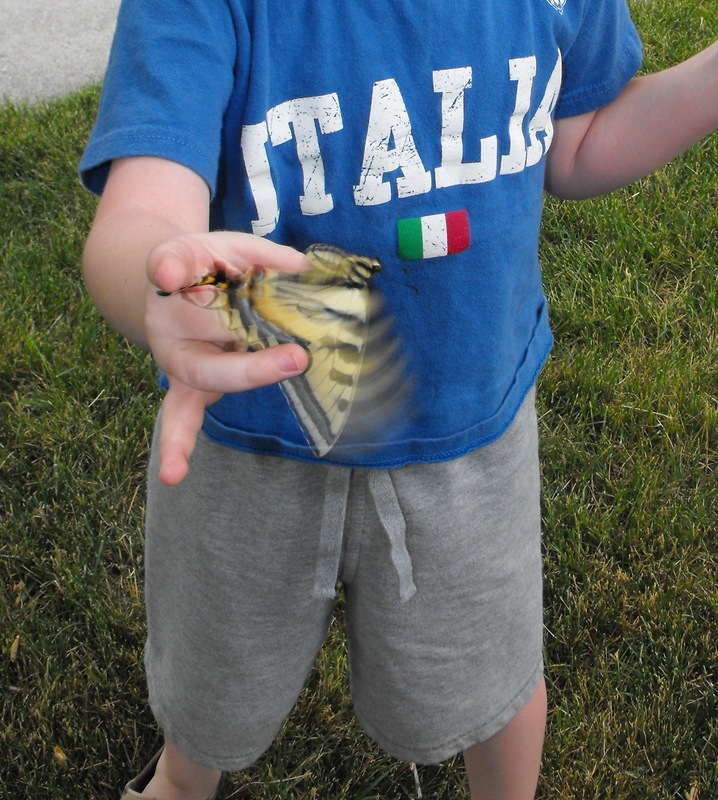 A giant butterfly he caught at grandma's house. his yard when I was a late teen. I think my oldest may turn into that man. Now I’m sure you’re envisioning giant mountains of garbage piled throughout his bedroom. Trust me, it isn’t that bad. But that’s because I don’t let him keep everything he wants. What happens when he moves out? I’ll have to hire him a housekeeper to keep him from swimming in trash. time my hand goes to place something of his in the garbage and I hear “That’s my special ________ (fill in the blank).” It’s hard to tell what’s special and what’s just plain garbage. Sometimes I have to sneak stuff into the outside garbage when he’s not looking only to worry that he’ll ask for it later. The picture-taking strategy is starting to help. I’ll probably end up with dozens of photos of pieces of trash. But it’s worth it if he’ll finally let me throw some of it away. Maybe he’ll grow out of his hoarding habits someday and I’ll look back at those pictures and laugh. 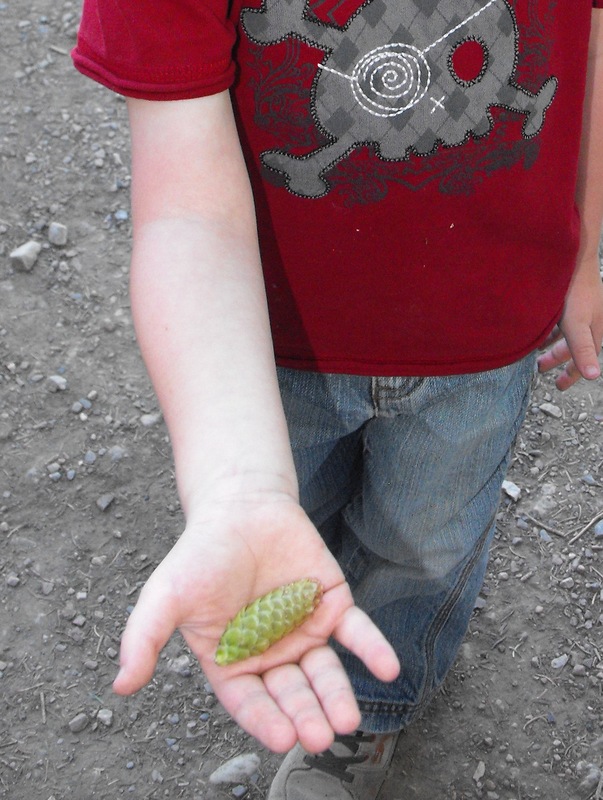 A baby pine cone he found in the mountains.